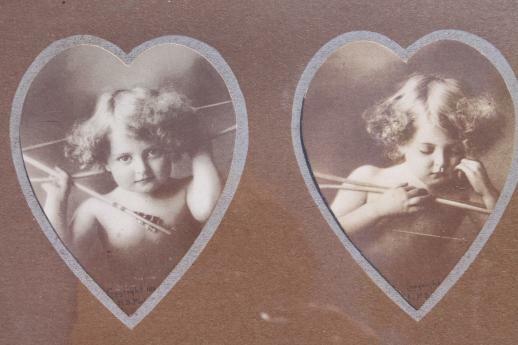 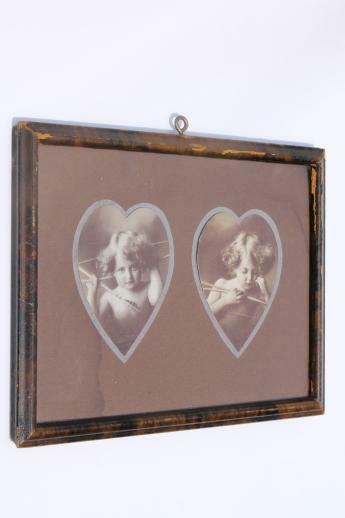 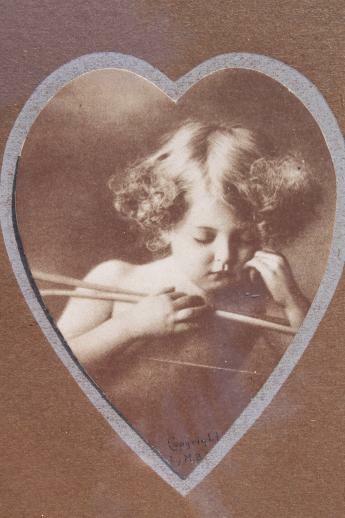 Small framed photo prints, late 1800s vintage - Cupid Awake and Cupid Asleep. 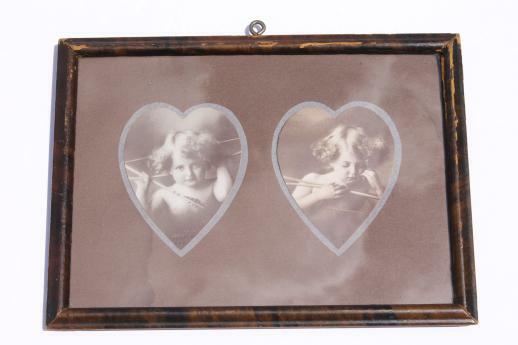 This is a sweet little piece with the baby photos in a heart cut matting, just 7 1/2" x 5 1/2" overall. 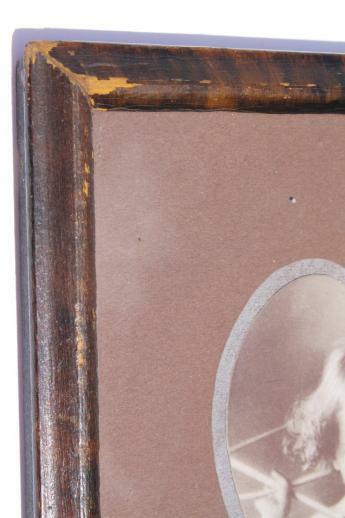 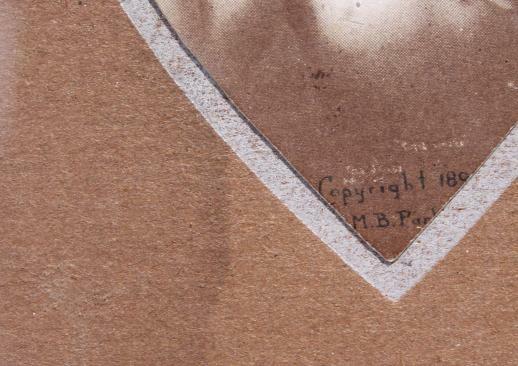 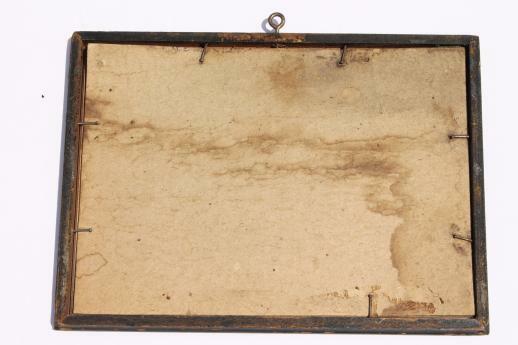 There's noticeable age and wear to the paper, backing and wood frame - though the pictured themselves look good, under glass.